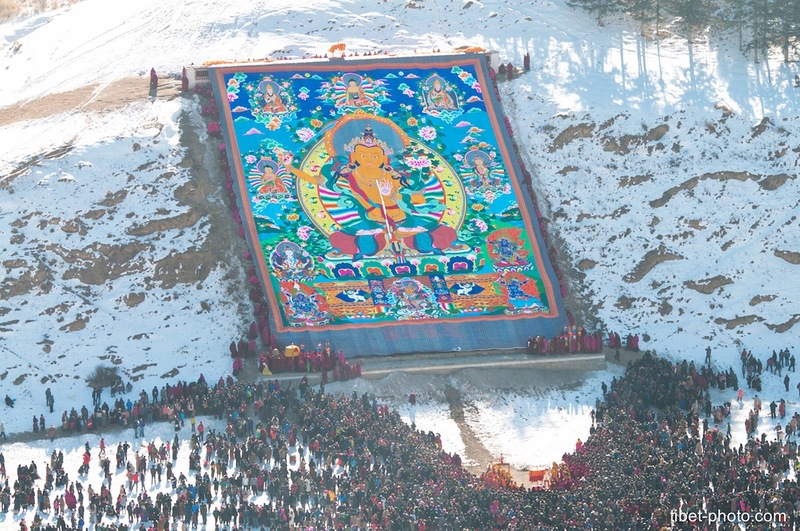 Giant Thangka (approx. 20x30m.) of Manjushri (Bodhisattva of transcendent wisdom) is displayed on the Thangka Wall on the south bank of the Sangchu River, opposite the Labrang monastery, during the Monlam Great Prayer Festival.